Want to be notified of new releases in Janolan/x250-hackintosh? This is a guide on how to install macOS mojave on the Thinkpad X250. I included parts and combined a few other guides to make this. Credit for those guides is given to their respective owners. Special thanks to hackintosh-forum.de and their thread on the X250 here. The EFI folder and the kexts were posted there by 3zra and are his and credit goes to him. Also a special thanks to midi1996 on GitHub for his guide on how to create the macOS installer from Recovery. Parts of his guide were included here to streamline the process. The BIOS must be properly configured prior to installing MacOS. Secure Boot > Secure Boot: must be Disabled. Open the unzipped gibmacOS folder. If you're using macOS or Linux, you should know how to cd to it through your preferred Terminal emulator. If you're a Windows user, follow these instructions to get to the command line inside the folder. Open Command Prompt/PowerShell and cd to where it is. After the download, you'll find a new folder named macOS downloads where the program we used downloaded macOS recovery image for your macOS version. For this part of the setup. I'll be separating it to the 3 main OSes and how to make it. Carefully choose your drive (look for the size, name or other features that points to your USB device). run this 7z e -txar *.pkg *.dmg; 7z e *.dmg */Base*; 7z e -tdmg Base*.dmg *.hfs this will extract the recovery from the pkg through extracting the recovery update package then extracting the recovery dmg then the hfs image from it. After the download, open macOS downloads/.../... until you find RecoveryHDUpdate.pkg or RecoveryHDMetaDmg.pkg (enable file name extensions in Finder under Finder > Preferences > Advanced). Copy the EFI folder provided in my repo onto your USB flash drive CLOVER partition. The partition is usually hidden. Use Clover Configurator to mount the EFI partition of your flash drive on your mac (it appears as a disk on the desktop once done). On Windows or Linux it shouldn't be hidden. Install macOS by booting from the USB installer. Format your local drive with the Disk Utility application as Apple Extended Journal and GUID-partition table. It takes about 30 min from start to finish. The computer will restart multiple times. When rebooting, make sure to select Install macOS ... each time in the Clover boot menu. Once installed, choose to boot from local drive in the Clover boot menu. Copy EFI folder from USB flash drive to local drive EFI partition (like you did for the USB installer) which can be mount with Clover Configurator. Install Kexts: Create a folder named Kext on your desktop and copy kernel extensions found in /EFI/CLOVER/kexts/Other into it. Open Terminal and type cd desktop/Kext. Then type sudo cp -R *.kext /Library/Extensions to move the files and rebuild the cache with sudo kextcache -i /. Delete Kexts from Clover: Now go back to /EFI/CLOVER/kexts/Other and delete everything, except FakeSMC.kext, IntelMausiEthernet.kext and VoodooPS2Controller.kext. Once finished reboot your system. 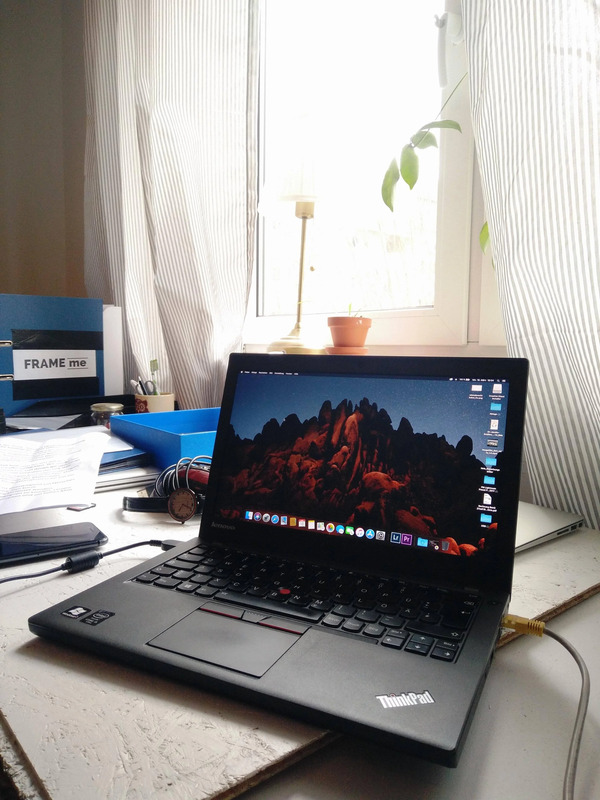 Enjoy macOS on your Thinkpad X250.